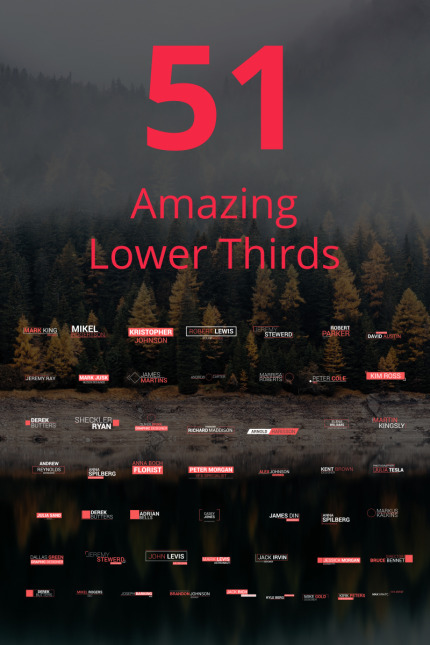 The 51 Amazing Lower Thirds AE template features 51 uniquely designed and animated lower thirds. It is easy to customize. Simply change the text, adjust the colors and hit render. Creating beautiful lower thirds does not get any easier. Make yours new greats videos with the 51 Amazing Lower Thirds After Effects template.